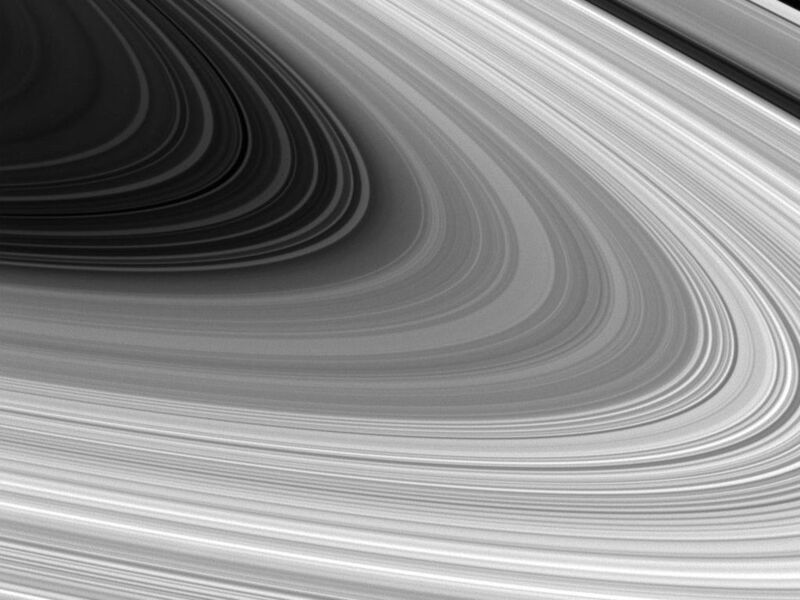 Saturn's B ring is spread out in all its glory in this image from Cassini. Scientists are trying to better understand the origin and nature of the various structures seen in the B ring. 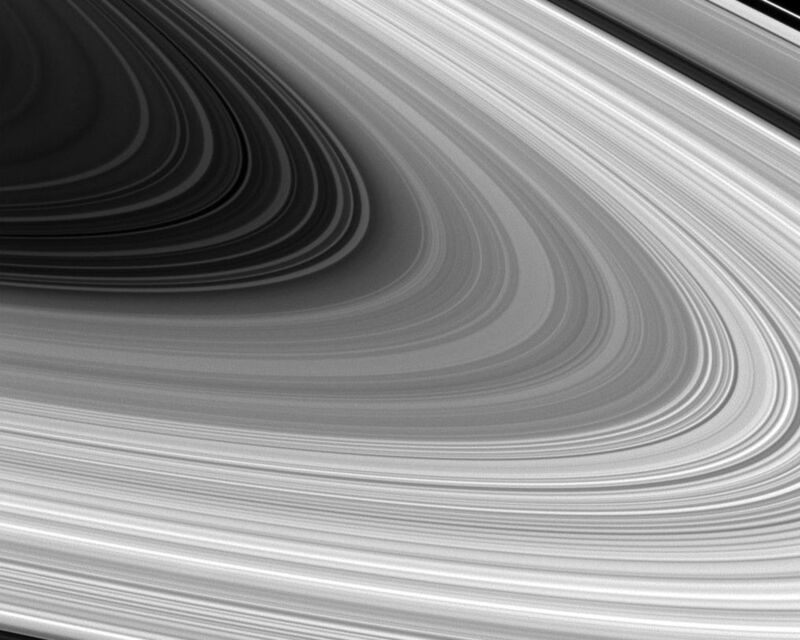 Saturn's B ring is the densest and most massive of all the rings. 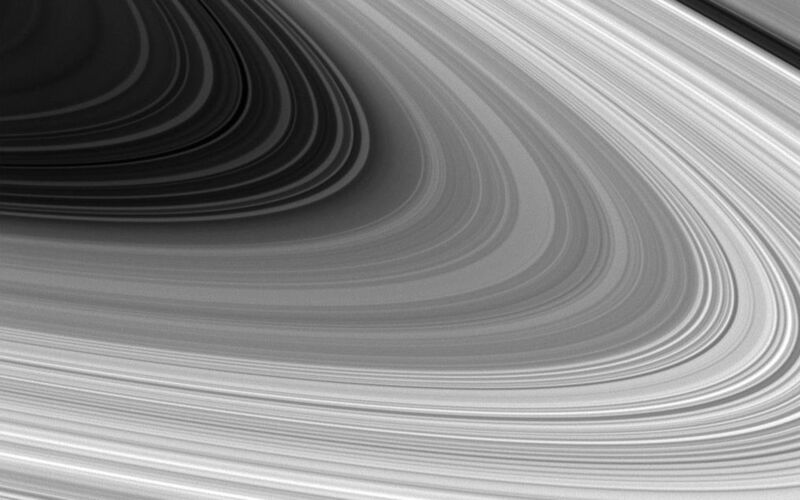 The C ring is also visible inside the B ring and the A ring puts on an appearance beyond the Cassini Division near the top and bottom of the image. 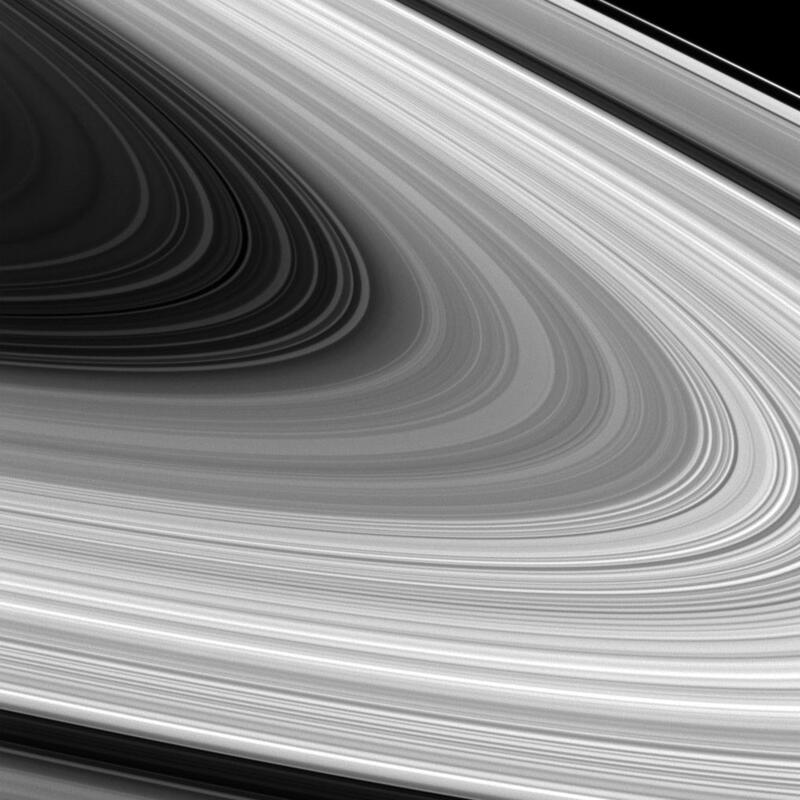 This view looks toward the sunlit side of the rings from about 7 degrees above the ringplane. The image was taken in visible light with the Cassini spacecraft wide-angle camera on July 22, 2012. The view was obtained at a distance of approximately 201,000 miles (324,000 kilometers) from Saturn and at a Sun-Saturn-spacecraft, or phase, angle of 134 degrees. Image scale is 10 miles (16 kilometers) per pixel.